Clinical and Health Psychologist in the field of Occupational Health Psychology, offering consultancy, training and one-to-one input focusing on wellbeing and recuperation. 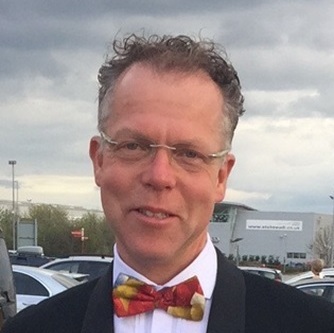 Having worked in the NHS for more than twenty-five years, he is now focusing on working abroad with FitMindCompany International BV. In this role he is in the process of developing two retreat centres aimed at helping people to rediscover, recover and enhance their capacity for working and living fully, incorporating mind, body and spirit. A Personal Trainer with knowledge and understanding to help educate people to focus on performance and wellbeing through physical exercise and nutrition. He has fourteen years’ experience in health within acute clinical settings in resuscitation and the teaching and training of other health professionals. Working alongside Prof Anthony Schwartz in developing two retreat centres, his significant role helps to dovetail fitness and psychological approaches to remould and reshape people. Both Anthony and Nick bring their enthusiasm and experience to link therapeutic and didactic aspects of mind and body work. Based on sound psychological and physical training, we integrate mental, emotional, somatic, and nutritional aspects of wellness. The FitMindCompany brings a joint approach, linking years of clinical and health psychology consultation with individualised coaching from a sports and gymnastics background linked to physical training. Professor Schwartz brings his professional experience as a Consultant Psychologist and his interest in Mindfulness to his clinical, consultancy, facilitation and training inputs. He likes to think of himself as a humane person first and foremost, in addition to his academic qualifications: BA, BA (Hons), MA (Clinical Psychology), MSc (Medical Psychology), PsychD (Clinical Psychology). 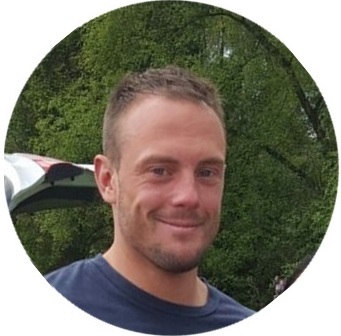 Nick Palmer has years of experience as a professional gymnast and sports coach, alongside his Personal Training coaching qualifications. He is a trained Level 2 Gym Instructor, Level 3 Personal Trainer and has qualified with Level 3 Nutrition in Sports. Within the health setting he obtained a BA Honours Degree at Leeds University. The reason we started working together was after years of working in separate areas, was that we wanted to show how much more may be achieved through a holistic approach to mind and body. FitMindCompany International BV is a result of this synergy; we love to energise and inspire people to become who they are, under the right circumstances. We would like others to share our excitement and personal experience about human potential, and live with an attitude of hope. In ‘growing people’ we believe in Jung’s view that: “I am not what happened me. I am what I choose to become”.